Snippets By Mendi: Lori's Summer Blog Hop Winner! Lori's Summer Blog Hop Winner! 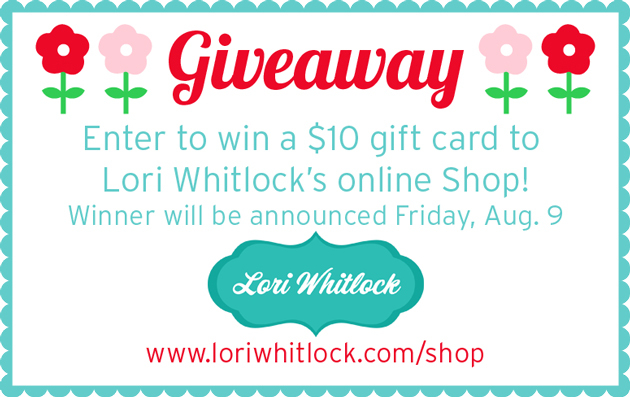 I almost nearly forgot to come back and post the winner from Lori's Blog Hop! The random winner of the $10 gift card to Lori's online shop is...Beth Hillier! Please email your address and I will have Lori send you your special online gift certificate! I want to sincerely thank everyone who stopped by. I appreciate all the sweet comments that were left and all the new followers to my blog!